Ideally suited for the stereomicroscope without inbuilt incident illumination, or to augment existing lighting systems. 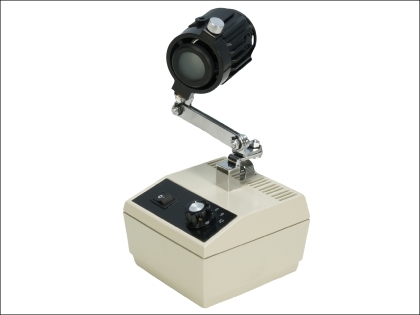 The unit has a heavy duty base with rheostat click stop light intensity control, giving four levels of brightness. The lamp housing is attached to a multi-jointed arm which allows the lamp to be placed in any position to achieve the required modelling effect. 12v 20 watt quartz halogen light source (240v and 110v available).